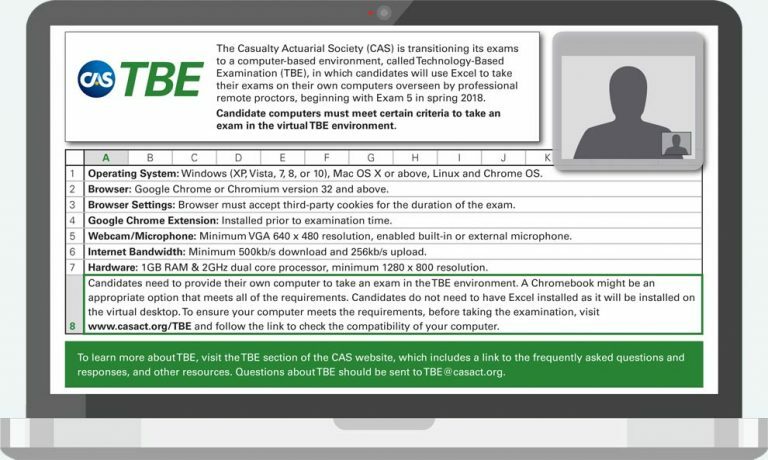 The CAS is transitioning its exams to a computer-based environment called Technology-Based Examination (TBE). Beginning with Exam 5 in spring 2018, candidates will use Excel to take their exams on personal computers that will be overseen by remote proctors. With this transformation of examinations, the CAS continues to evolve its basic education system. TBE will more closely imitate on-the-job assignments in which actuaries use computers for work, thus making CAS exams more relevant to real-life actuarial practice. Candidates will sit for exams in the TBE environment using Excel software on their own computers, and at the location and time of their choosing, within certain parameters. Professional remote proctors administering the exams will monitor candidates through a webcam and microphone throughout the exam sitting. The CAS has partnered with two technology firms to administer TBE: TrueAbility will be providing the online, Excel-based testing environment, and PSI will provide the professionally-trained remote proctors. 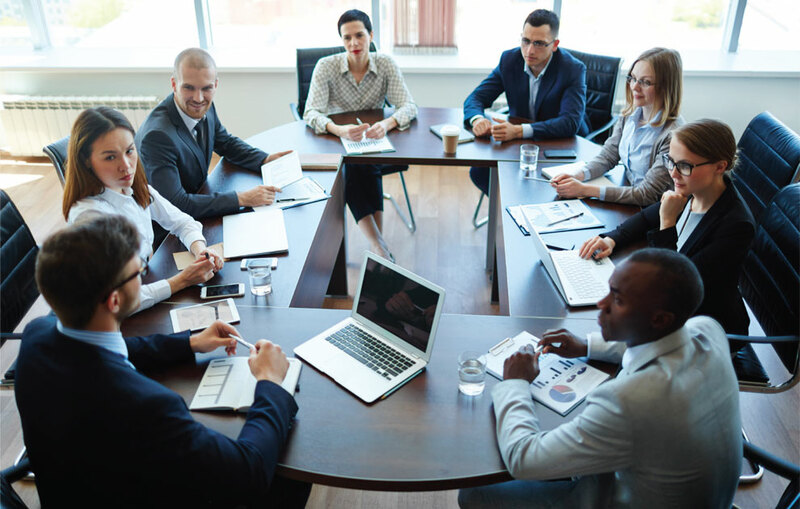 To learn more about TBE, visit the TBE section of the CAS website, which includes a link to the frequently asked questions and responses, TBE computer requirements, and other resources. In addition, a complimentary webinar about TBE with leaders from the Admissions area is scheduled for November 28 at noon EST, and registration is now open. For questions about TBE, write to TBE@casact.org.